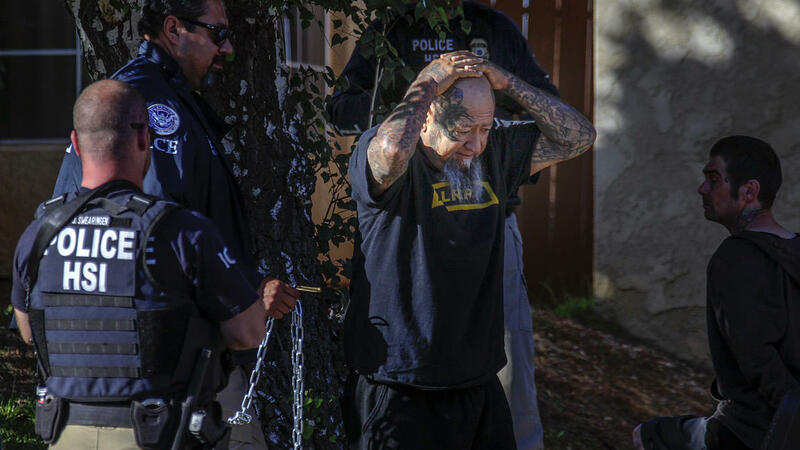 Federal agents launched a sweeping operation against the Vagos biker gang Friday, arresting many of the group’s leaders in raids throughout California, Nevada and Hawaii, authorities said. A grand jury indictment that was unsealed after the coordinated, early-morning arrests leveled federal racketeering charges against 23 people. Agents and police officers from various agencies led by Homeland Security Investigations took 22 of the suspects into custody, officials said. The outstanding member died in recent weeks. Prosecutors portrayed the gang as a “highly organized criminal organization” in the indictment and accused the targeted members of carrying out many crimes, including murder, kidnapping and drug sales as part of an effort to bolster the gang’s coffers and dominance over other biker gangs. 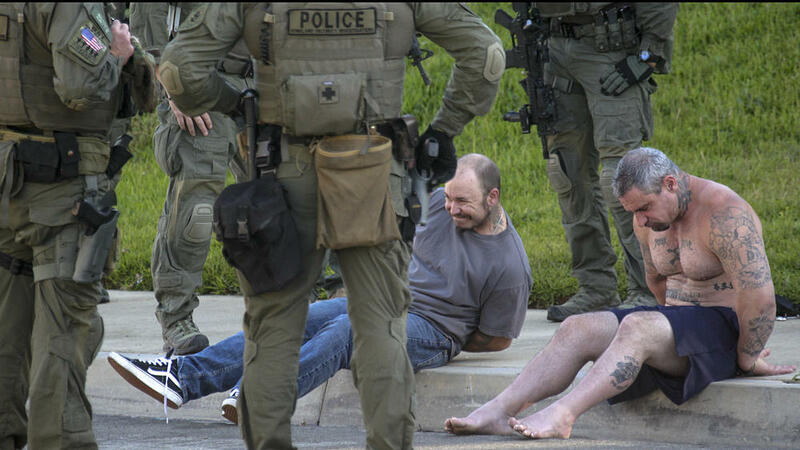 Suspects arrested Friday morning were scheduled to appear in U.S. District Court in the afternoon. The defendants and their attorneys could not be reached for comment. Despite the gang’s well-established reputation for violence and stockpiling weapons, agents encountered no resistance as they served arrest and search warrants in a dozen cities beginning around 5 a.m., authorities said. Of the men arrested Friday, many held influential positions in the organization’s upper ranks, the indictment claims. They included the group’s current leader, as well as his predecessor. The Vagos Outlaw Motorcycle Gang is counted as one of the largest and most powerful biker gangs in the country, Rice said. Started in the 1960s in California, it has expanded over the decades to include about 1,000 members in dozens of chapters throughout the U.S. and other countries, according to the indictment. 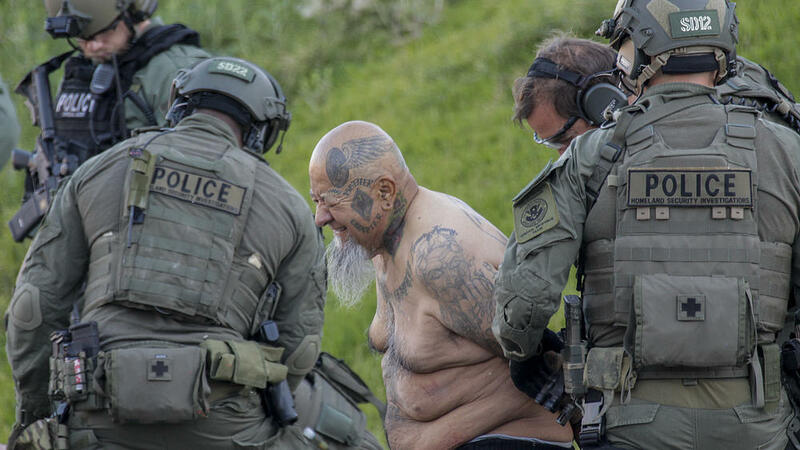 In bringing the charges against the gang’s leaders, prosecutors presented Vagos as a highly hierarchical operation with well-defined lines of authority, deeply ingrained rules and traditions that are underpinned by a fierce allegiance to the gang and a disdain for the rule of law. An intricate system of chapter dues and taxes, along with drug sales and other illegal activity, funds the operation, authorities allege. Among other crimes, the indictment charges eight Vagos members, including Ernesto Manuel Gonzalez, for the 2011 death of a Hells Angels member at the Nugget Hotel and Casino in Sparks, Nev.
“The murder committed by Ernesto Gonzalez in the Nugget Casino was always a part of a larger criminal conspiracy, which has been made even more clear today,” said Christopher Hicks, district attorney for Washoe County, Nev. Along with the slaying, the indictment includes a litany of other suspected criminal acts, including beatings and orders from higher-ups given to subordinates to kill or beat rivals and disloyal members. Several sales of methamphetamine and cocaine are also documented. 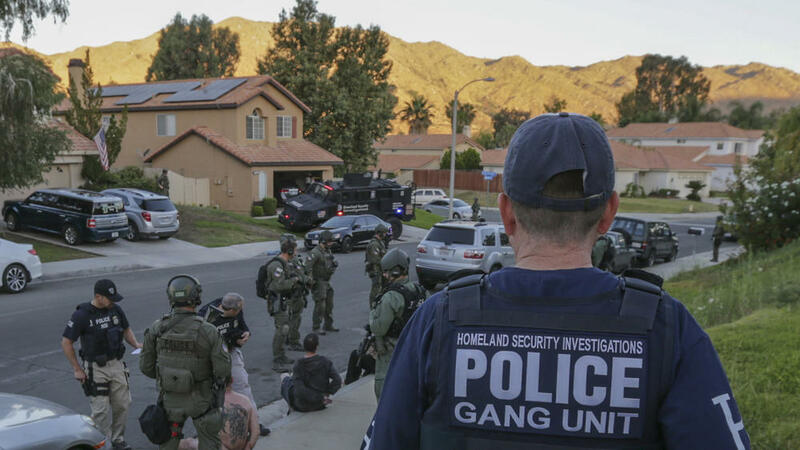 To build their case, authorities relied on wire taps, as well as members they turned into informants and at least one undercover law enforcement officer who made it through the gang’s exhaustive vetting process to become a member, according to the indictment. In July 2013, when it was discovered that the gang had been infiltrated by law enforcement, Vagos leaders put out a $100,000 bounty on the head of the undercover officer, according to the indictment They offered a similar reward for the killing of the president of the gang’s Las Vegas chapter, who was suspected of cooperating with authorities. 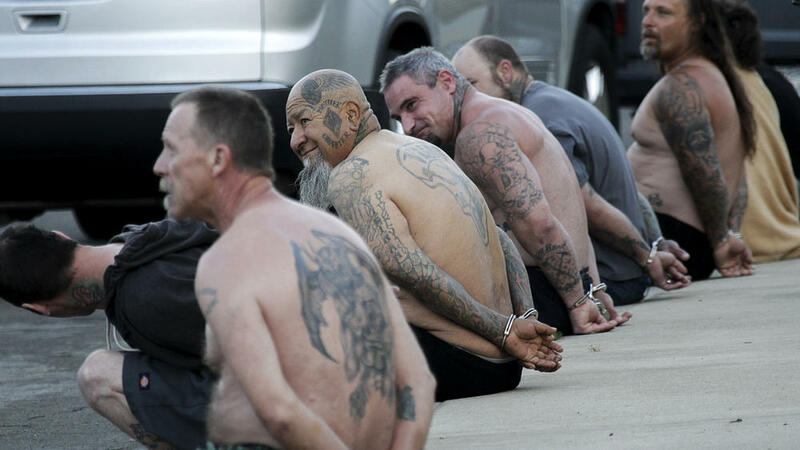 The Vagos gang is one of seven groups that federal authorities have formally designated as outlaw motorcycle gangs. A wild shootout and brawl between gangs in 2015 at a Texas restaurant that left nine people dead provided a stark reminder of the groups’ penchant for violence.